1. 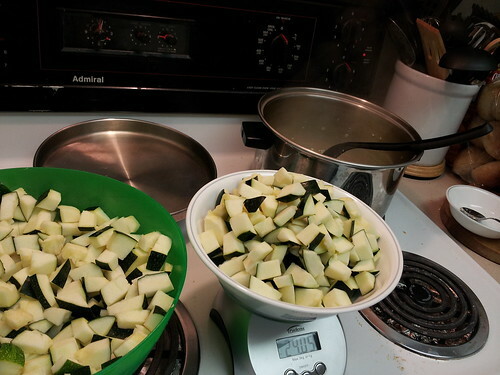 First step: Have a lot of zucchini. 2. 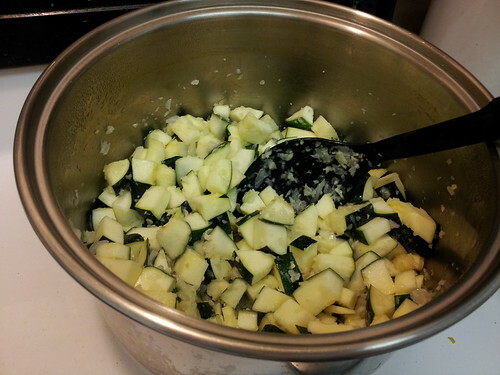 Cut the zucchini into cubes. If you really don’t like the peel, peel them. 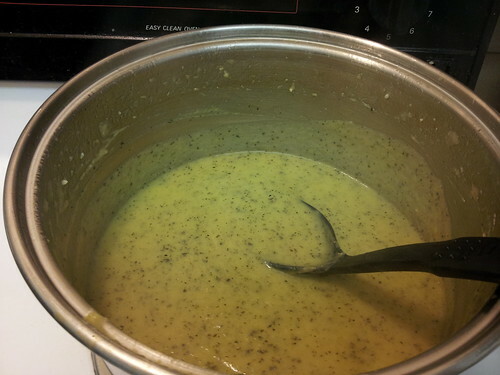 I didn’t, because I like the flavour the skin gives the soup, and it also makes the soup a little darker. 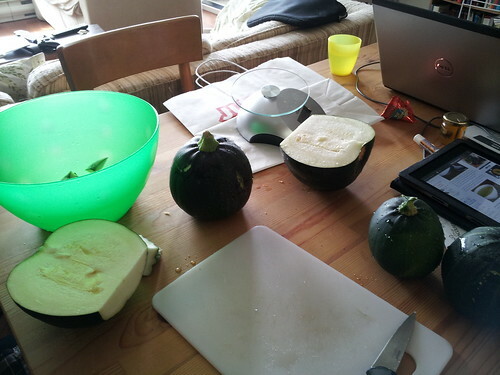 Also, I have spherical Eight Ball Zucchini and it was waaaay too much trouble to peel all of them. 3. 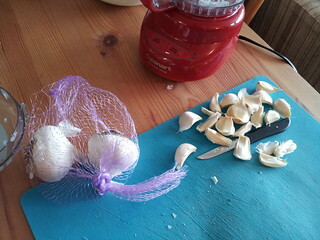 Peel and chop a bunch of garlic. 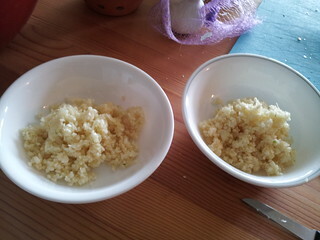 If you’re me, double the amount called for in the recipe. 4. 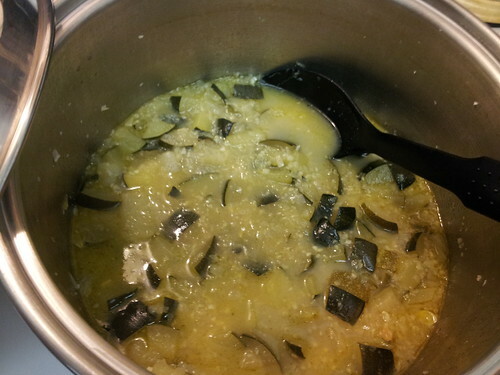 Chop onions, as small as you can, or put them through the food processor. 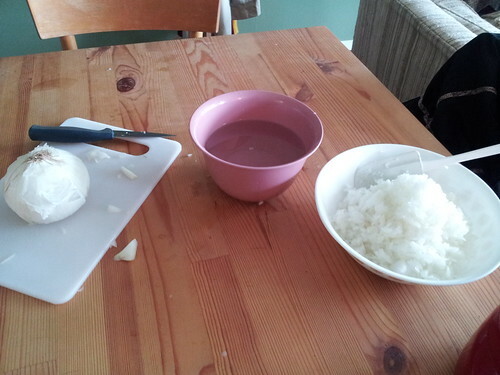 If you have a roommate who likes to laugh at you as you weep over the onions, make her chop them instead. 5. Put everything in a pot (add vegetable stock)! 6. Cook for a while. 8. 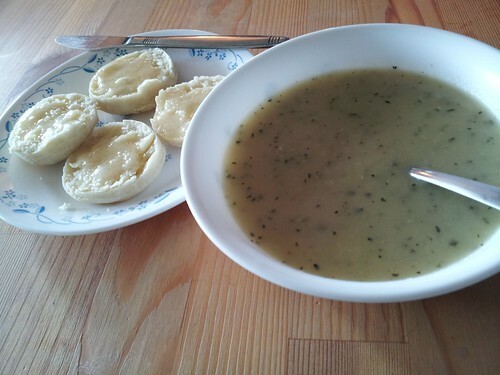 Serve with tasty biscuits.